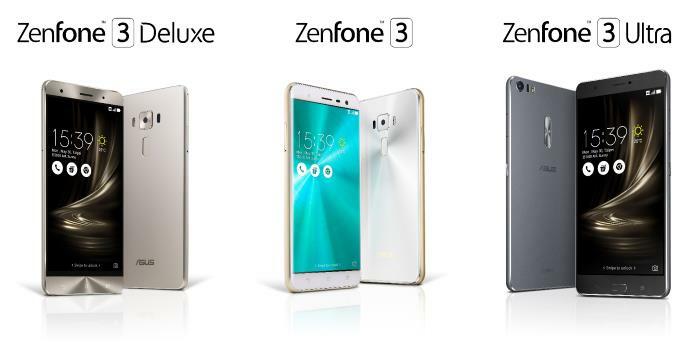 Asus has finally unveiled it’s upcoming Zenfone line up, consisting of not just one but three new handsets, including the ZenFone 3, ZenFone 3 Ultra and ZenFone 3 Deluxe. All three devices are equipped with an excellent set of specifications on board, and are expected to hit the retail shelves in the coming weeks. Asus ZenFone 3 is the most basic model among the trio, featuring a 5.5-inch display sporting a resolution of 1920 by 1080 pixels with the processing handled by a Qualcomm Snapdragon 625 processor paired with 4GB of RAM on board. Additionally, there’s a 16MP camera for photos and videos, a 3,000 mAh battery and ships with Android 6.0.1 Marshmallow out of the box. There’s a fingerprint sensor on board as well as an added security measure. The next in line is the ZenFone 3 Deluxe which is basically the flagship model offering a metallic finish and a premium form factor. The handset comes with a 5.7-inch display with a Qualcomm Snapdragon 820 processor on board, up to 6GB of RAM, a 23 megapixel Sony IMX318 camera with f2.0 aperture, USB Type-C connector, a fingerprint sensor and ships with Android 6.0.1 Marshmallow. Last but not the least, the ZenFone 3 Ultra, an enormous smartphone with a 6.8-inch 1080p display, a Qualcomm Snapdragon 652 processor paired with 4GB of RAM, a fingerprint sensor on the back and a 4600mAh battery with Quick Charge 3.0 support. The handsets aren’t going to cost you a fortune compared to other flagships from key players in the market. The prices start at $249 for the ZenFone 3, $499 for the ZenFone 3 Deluxe, and $479 for the ZenFone 3 Ultra.